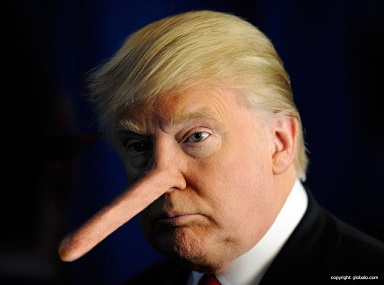 Just Thinking: What's the Big Deal about Lying? It's a big nothing burger. Are you cavalier about telling the truth? Is lying no big deal with you? When Trump lied about the calls from the President of Mexico and the leader of the Boy Scouts, I was left flabbergasted. People lie, some of us more often than others. I understand that. However, most people lie to escape punishment, (think about Peter, the disciple), to acquire position (win an election), to achieve financial gain (cheating on your taxes) or to obtain an emotional advantage (reeling in that hot girl). But to lie with no visible or discernible upside is abnormal. Furthermore, since these lies, like the "birther" claims, are so easily disproven, it leaves one to wonder about the motivation and mindset of the individual behind such actions. To lie so inartfully and clumsily, with no obvious personal benefit, signals a psychological deficiency. I know to the typical Trump supporter this is no big deal and they resort to the familar stance-- that is the nature of the man. Besides, they ask, "what's the big deal?" Obama lied, Hillary, Bill, Loretta and Comey, they all lied. So what? When and how did we arrive at such a low degree of expectation? Justification for your wrongdoing is now based on the actions of the other guy. Perhaps we never really found our footing on this important attribute. Remember our common ancestor, who responded indignantly to his creator, "the woman that you gave me, she gave me of the fruit and I didst eat." Is that how it is going to be? Is there a limit? Doing wrong, seeing wrong or having wrong done unto you, are wrong reasons for continuing to do wrong. “What's the big deal?” you say. Is that really the way you want to conduct your life? Is that the way you want your children or husband to behave? Is that the type of behavior you will accept in your building contractor, plumber, electrician or doctor? What about the restaurant worker with AIDS or tuberculosis? Will you really be so nonchalant about a lie if it somehow damages or hurts you? What's the big deal? A lot of us still think it is a big deal. Some of us still hold in high regard, the truth, the whole truth and nothing but the truth. "The Christian values Sanders has no problem ignoring the tenants of the faith in defending and lying for the most despicable person to ever walk the earth. Sanders is beyond hypocritical, she is now flirting with evil." "Sanders says that it is her job to "answer questions as honestly as she can." What the hell does that mean? If she can't honestly answer a question, then she lies? An answer is either honest or not. This administration really needs to get over their "alternate fact" theory." Most Republicans talk about family values and Christian ethics and “trump” their support of the Savior who said, “I am the way,THE TRUTH and the life." Before I donate blood, these are some of the intriguing questions confronting me on the application. Have you ever engaged in sexual activities with anyone who is HIV positive? What's the big deal? What nerve? That is an invasion of privacy and none of their business. Nevertheless, as of late since they do not trust us to be forthright and honest, they do test the blood to ascertain its validity. These safeguards were not in place in the 80s. Arthur Ashe was an accomplished tennis player, retired from the competitive circuit, the majority of his life in front of him, married with a 6-year old-daughter. A cardiac incident caused him to receive a transfusion of tainted blood. He developed AIDS and subsequently died at 49 years of age in 1993. The following is a quote from this noble, gentle man. What's the big deal, you may ask? Why don't you pose that question to a young girl who grew up without a loving father's guiding hand because somebody else thought the same thing. 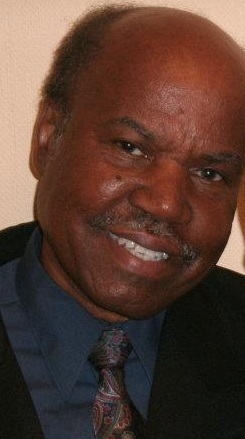 V. Knowles is a husband, father and prison minister with an interest in penning issues that serve to uplift mankind. He melds his love for Classic literature, The Bible and pop culture - as sordid as it may be - into highly relatable columns of truth, faith and justice. Hence the name: Just Thinking. If he's not buried in a book or penning his next column, you may find him pinned to his sectional watching a good old Country and Western flick.